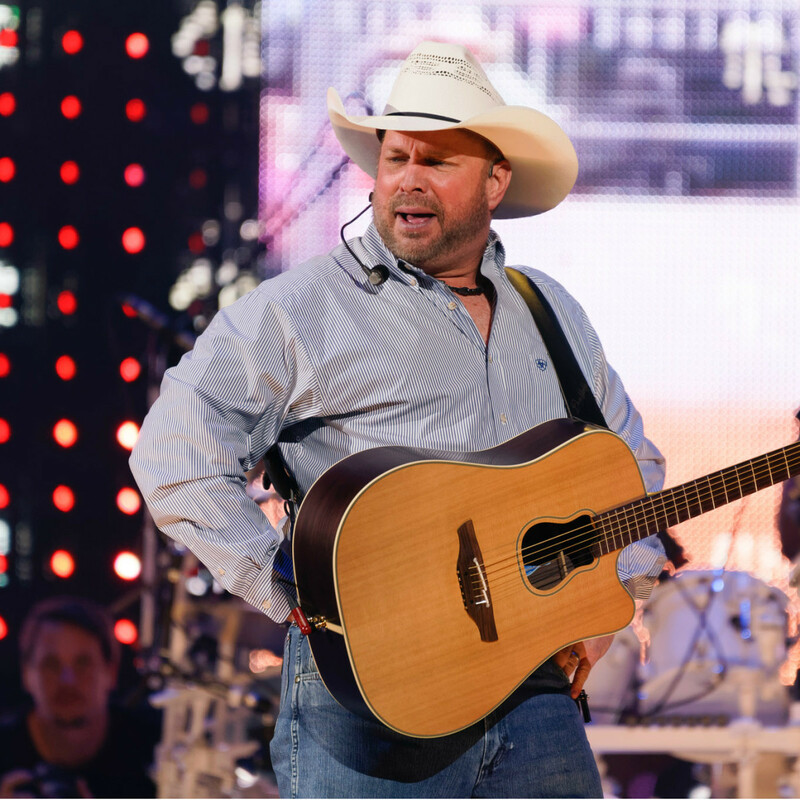 Bigger than Elvis — that’s who Garth Brooks is when solely counting record sales. 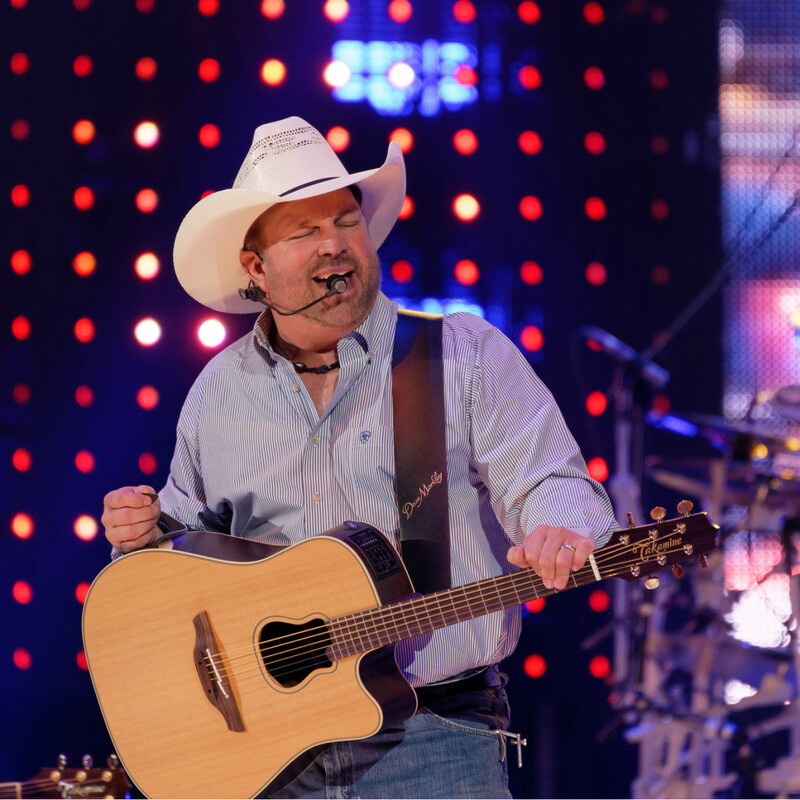 The Oklahoma native is the highest-selling solo act in the history of the United States (nearly 150 million albums sold), second only to The Beatles for any musical act. 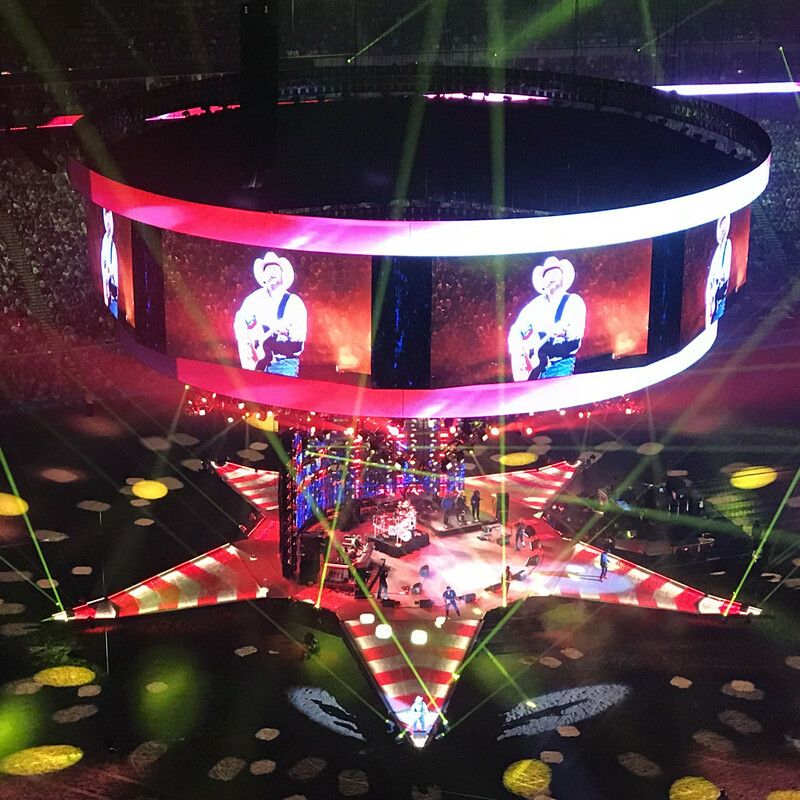 In other words, there’s no one bigger that RodeoHouston could have booked to launch its 2018 edition — and he did not disappoint, playing a 13-song set, each one a chart-busting hit in their own right, leaving fans elated at what they had just seen. 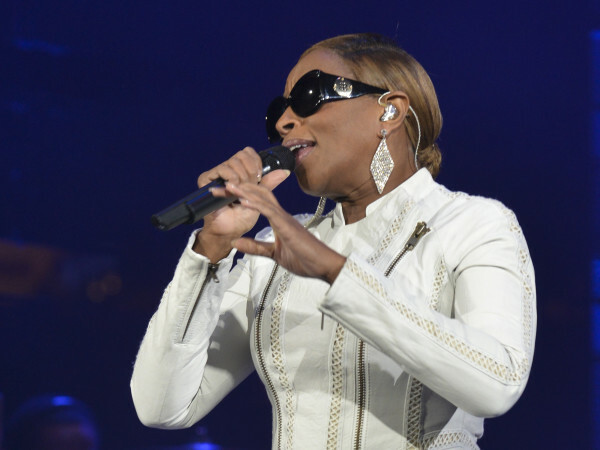 There was also no better performer to christen the brand new, multi-million dollar Stars Over Texas stage. Rolled out to center ring, it looked like something that belonged in the desert at Burning Man rather than in NRG Stadium in Houston, Texas. Even pre-show, it was awesome, a humongous metal flower yet to blossom, folded petals in the air. 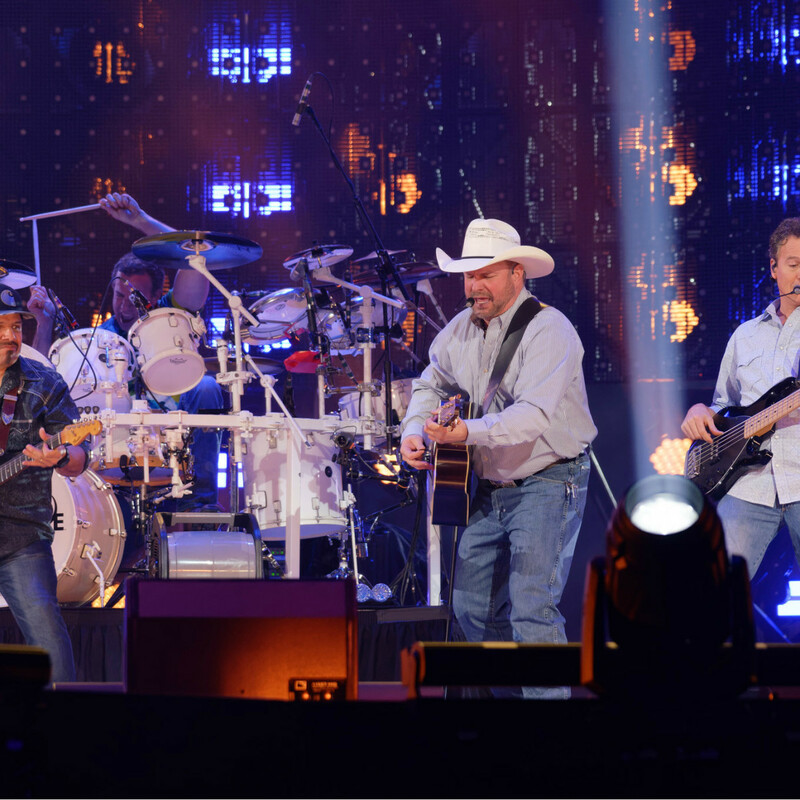 Hunkered inside, Brooks’ full band, comprised of four guitarists, three backup singers, two keyboardists, a fiddle player and a drummer, was set-up on the familiar rotating rodeo stage. Then, with a plume of fireworks, the petals unfurled and outstretched into a massive star-shaped stage with five points, a bank of led lights running down each line. Brooks came out in the customary pick-up truck to raucous applause. For the first of many times that night, he stopped to drink it all it. It was obvious he was happy to be playing in front of such a large crowd, NRG filled to the brim with adoring fans there to see the legend perform his biggest songs. Speaking of Elvis, the night’s performance felt a like a Vegas revue — every song known to just about everyone in the crowd. 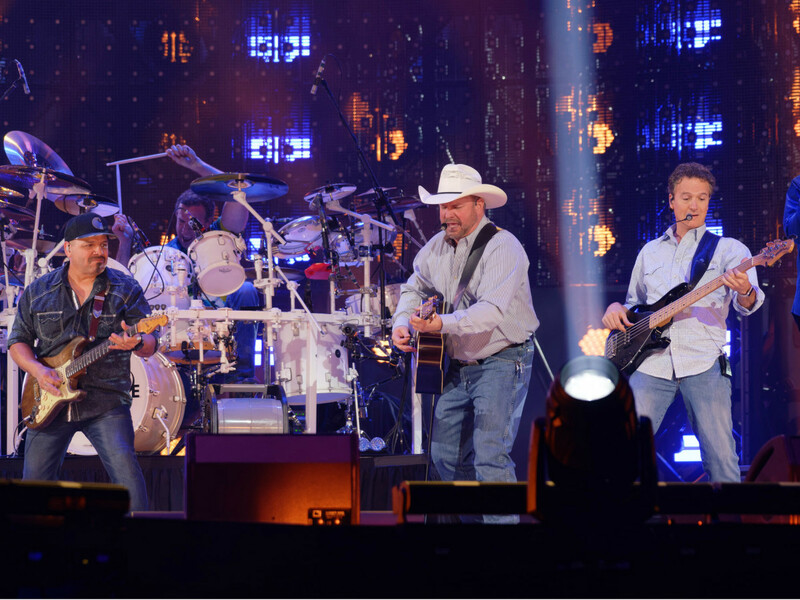 They were expertly played by musicians who have been with Brooks for years, even some who had been with him at his last appearance at RodeoHouston, back in 1993. 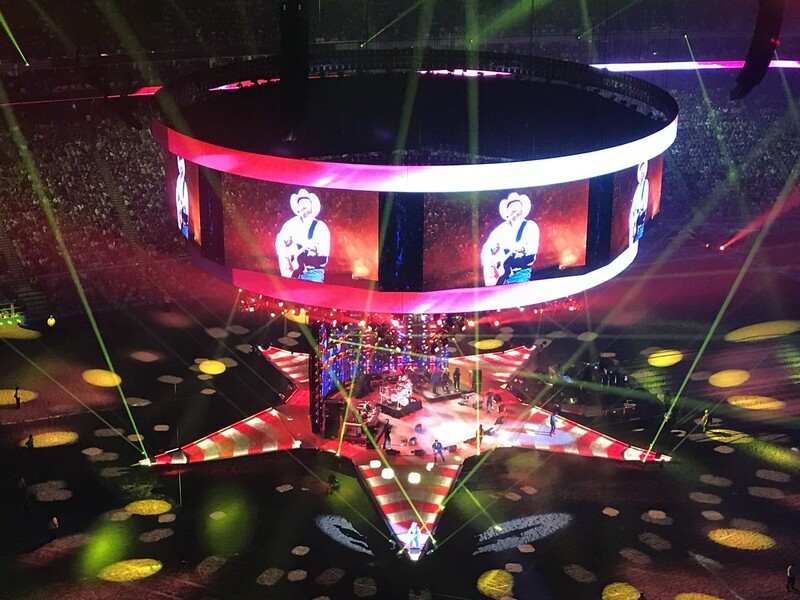 From the first on-the-nose note of “Rodeo,” from the 1991 smash, Ropin’ the Wind, the audience was putty in Brooks’ hands, as he immediately used the new stage layout to his advantage, heading to a very far point on the star, as if to get as close to the audience as possible. And to be fair, this actually was the closest any artist had been to the NRG crowd while on-stage with the points stretching over 30 feet towards the seats. 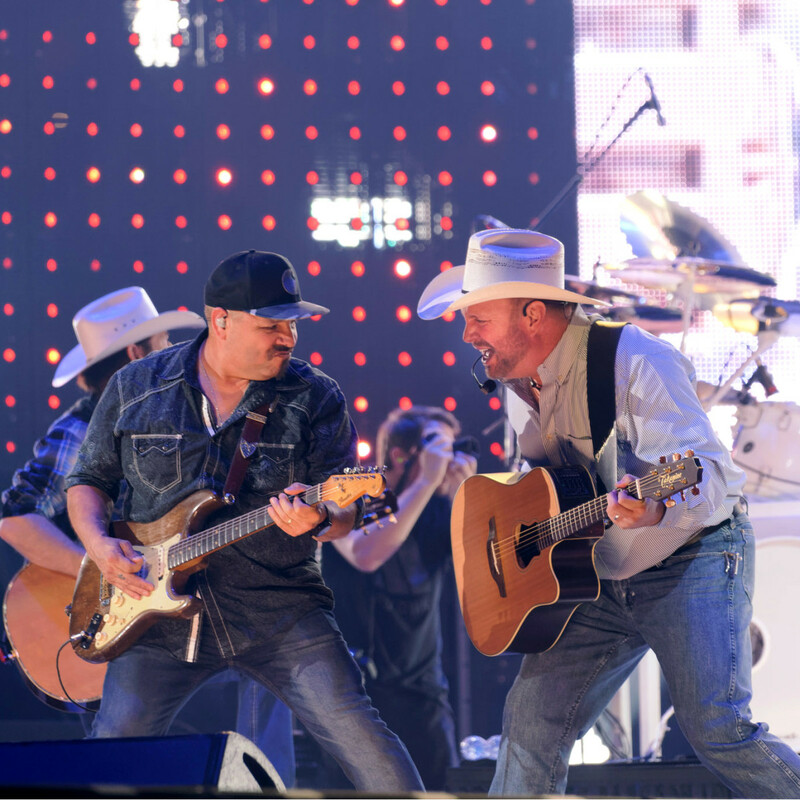 “Two of a Kind, Workin’ on a Full House,” from 1990 mega-seller No Fences, brought on the Elvis references again, featuring rock 'n roll mixed with honky tonk, the band working into a frenzy. Things slowed slightly with the melodic ballad “The River,” smartphones lighting up the rafters, acting as the twinkling backdrop of the star-shaped stage. 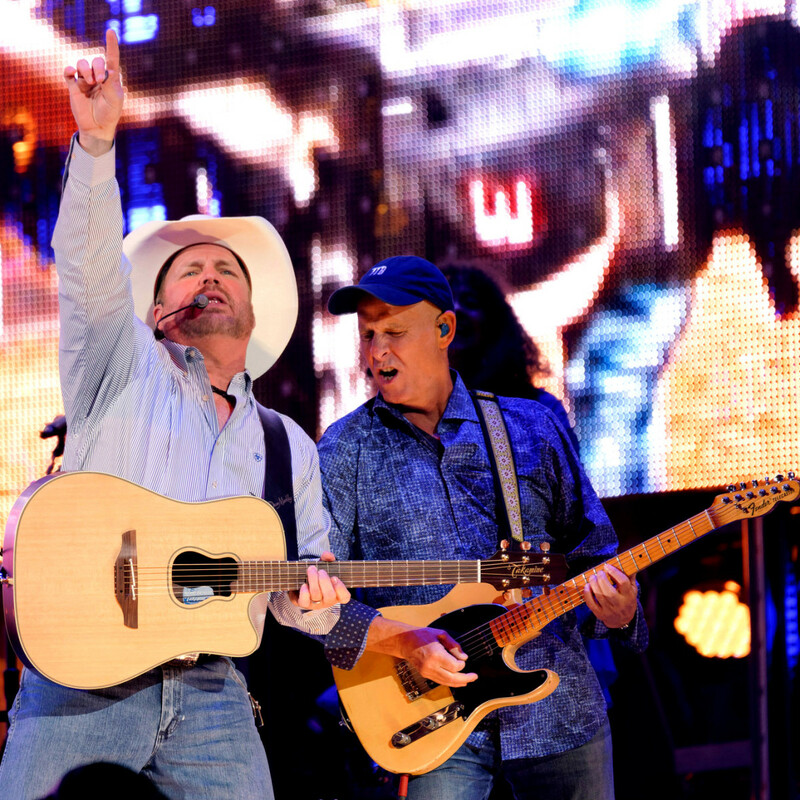 “Thank you to the folks at RodeoHouston for treating us like family and getting us back,” Brooks said after the song. It appeared throughout the show that he was genuinely grateful for the reception given by the 75,018 fans, (give or take a few hundred), a smile plastered across his face for most of the night, whooping and hollering after almost every tune. That was followed by the one-two punch of “Papa Loved Mama,” and “Two Piña Coladas,” the latter benefiting from the dozens of new lights that lit up the stage like a beach party in a tropical paradise. 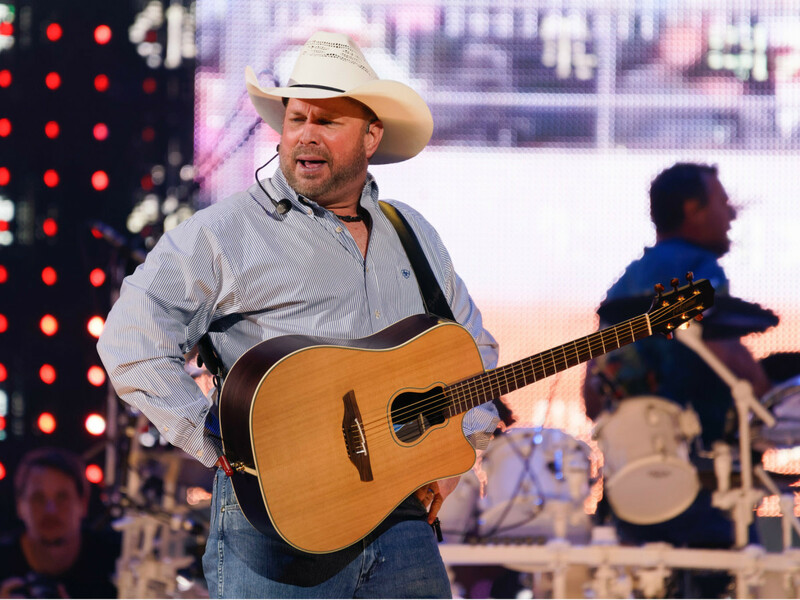 Another well-crooned ballad “That Summer,” gave way to thunder claps, the country star mentioning that even with the roof of NRG closed, they “couldn’t keep the rain out of a Garth Brooks concert.” On cue, the band laid into “The Thunder Rolls,” garnering some of the biggest cheers of the night. Some observations: Brooks’ boyish good looks have been replaced by a more grizzled exterior. His wife Trisha is definitely keeping him well-fed; he was out of breath from running around the big stage after songs. 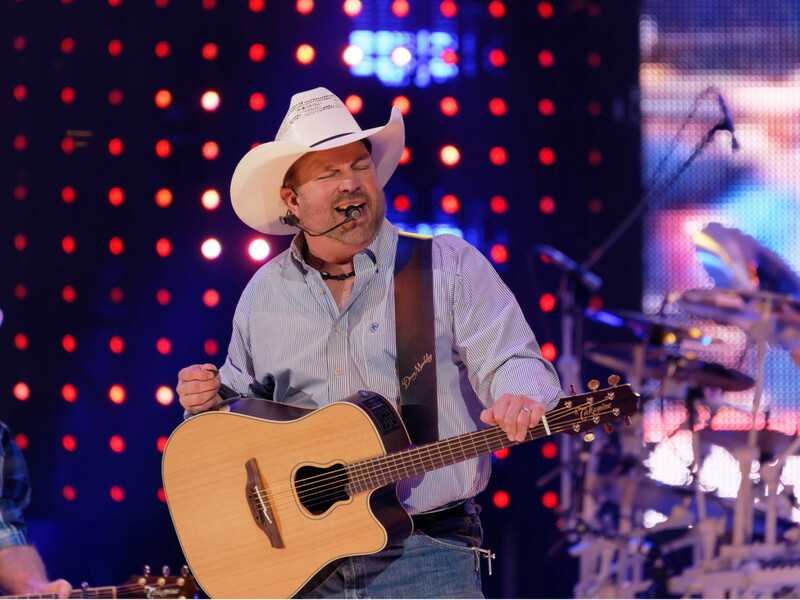 He might have also suffered from a little bit of rust on his vocal pipes, sometimes straining to hit the high notes. But those were very small things, completely overshadowed by Brooks’ earnest charisma, undeniable songwriting hooks, and killer band, especially the dueling slide guitar of Bruce Bouton and fiddle of Jimmy Mattingly on “Callin’ Baton Rogue” from 1993’s Broken Pieces. “The coolest thing you’ve done for me is making me feel special for just being me,” Brooks told the audience near the end of the set. 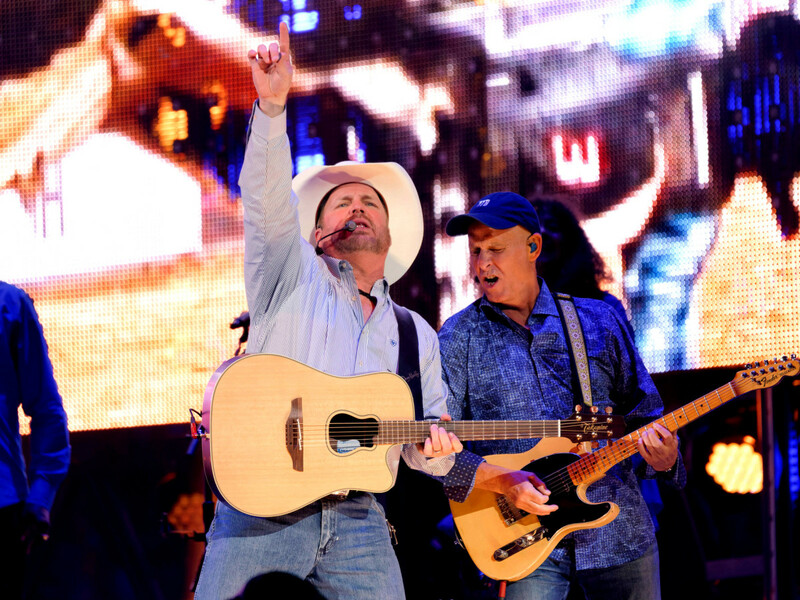 For those lucky to see Brooks back at RodeoHouston on opening night, the feeling was mutual. 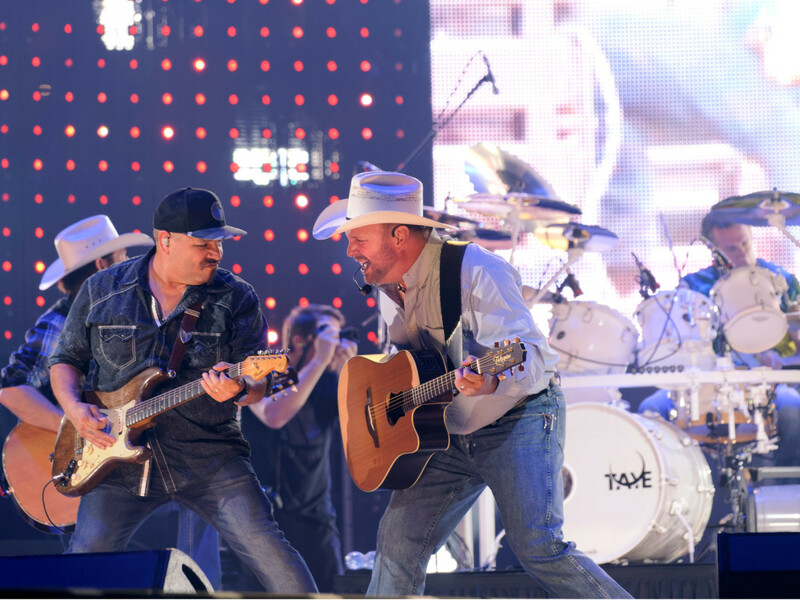 "Two of a Kind, Workin’ On A Full House"